Home / Hardware / Why Sockets Change So Often In An Intel Motherboard? Why Sockets Change So Often In An Intel Motherboard? When was the last time you upgraded your CPU? Chances are if you had an Intel CPU and tried to upgrade to a newer generation, you had to change your intel motherboard as well. In this guide, we will describe what sockets and chipset are. We will also examine why the companies change their sockets, and how the users can pick the best hardware parts for their budget. Why sockets change so often for an Intel motherboard? If you ever built a computer, you probably know that we can't just buy random parts, place them on top of each other, and call it a day. There are some compatibility rules that we have to keep in mind; the most important is the motherboard's socket. 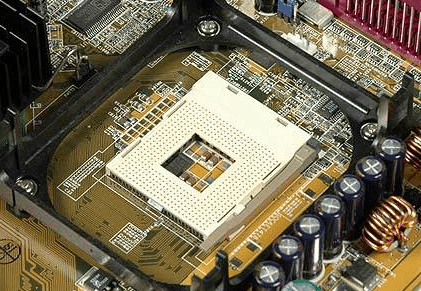 When it comes to computer hardware, a CPU socket is a mechanism that holds the processor in place on the motherboard. 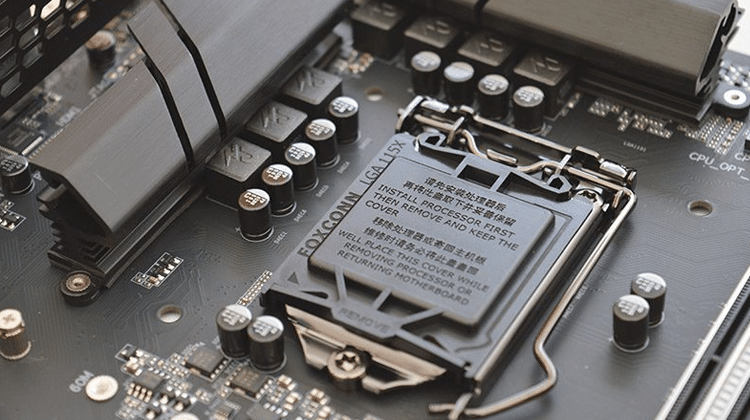 Usually, the socket will have pin arrays that connect to the CPU. If the pins are on the CPU, then the corresponding socket will have holes that match those pins. Thus, it's evident that the motherboard needs the correct socket to hold the CPU. 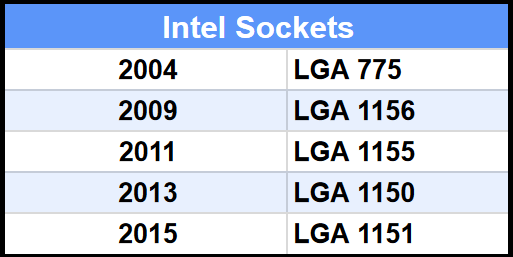 But why the companies - Intel and AMD to be more specific - change the sockets every two or three years? Why can't they manufacture CPUs with the same mounting pins, so as we can keep our old motherboards? Let's start with Intel's case. 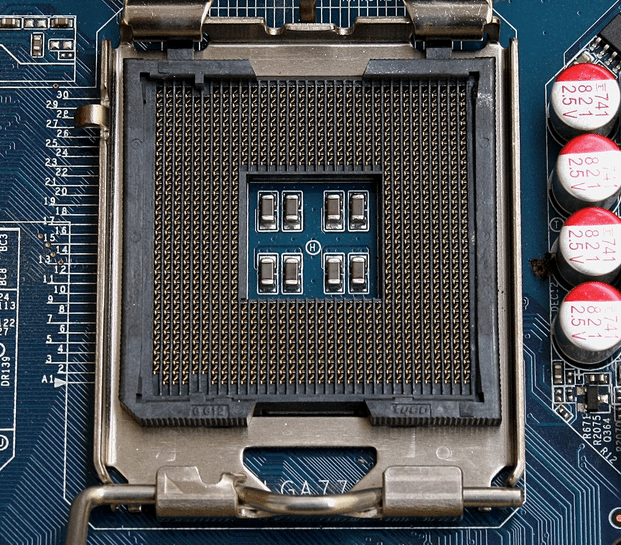 Until 2003, Intel was using CPUs with pins at the bottom, so the sockets on an Intel motherboard would have holes that match those pins. In 2004, the company started using a mounting system called Land Grid Array - or LGA for short. That means that the pins are now on the motherboard's socket, while at the bottom of the CPU we will find some electric contact pads. 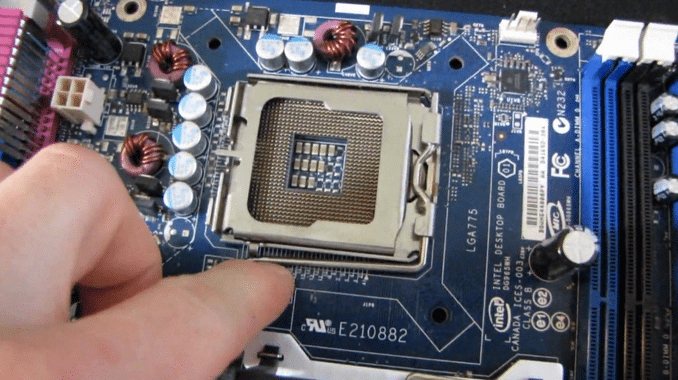 Each socket has an identifying number that indicates how many pins are on the Intel motherboard, and thus signifies the compatibility with the various CPUs out there. We should also mention that this number has nothing to do with quality or performance. 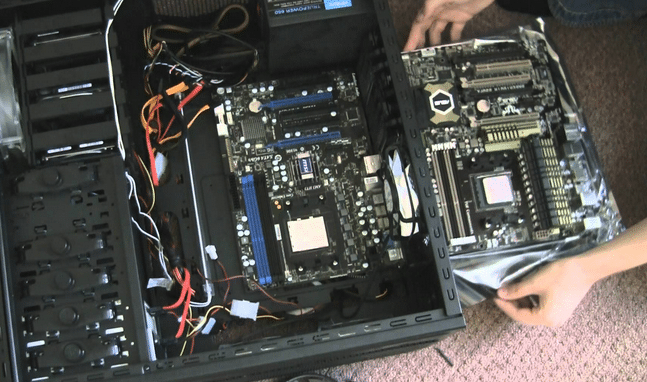 2009's LGA 1156 is in no conceivable way better than 2015's LGA 1151. So, how many sockets have we seen since then - in the consumer market? Five. Five sockets in 15 years. That doesn't sound like too many, does it? But why did they have to go from 1150 pins to 1151, for example? Was that one pin essential for the new CPUs or did they do it to force people to upgrade their motherboards along with their CPUs? Couldn't they just fit them on the older 1150 socket? First of all, we should mention that a lot of pins are just ground pins. That means Intel could very well have used 1150 pins for their new CPUs. However, even though a new CPU may need the same amount of pins, that's not an indication that an older board is remotely compatible with it; it may have completely different interns of wiring. Of course, it's hard to differentiate by pin layouts which CPU is compatible. 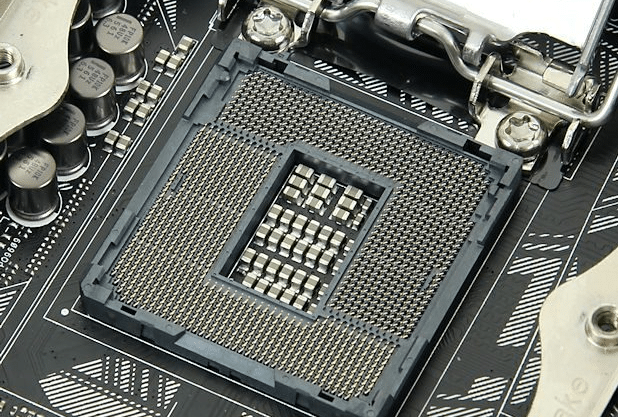 That's why they add or remove ground pins; to say that, even though a CPU and motherboard may have the same functional number of pins, they are not compatible. Back in 2005, when the early LGA 775 dual cores were released, Intel kept the same socket name that the Pentium 4 CPUs used. However, the dual cores wouldn't work on the Pentium 4 boards, and that caused a lot of confusion for the end users. In fact, people were buying new CPUs, assuming they would be compatible with their old motherboard, based solely on the number of pins. 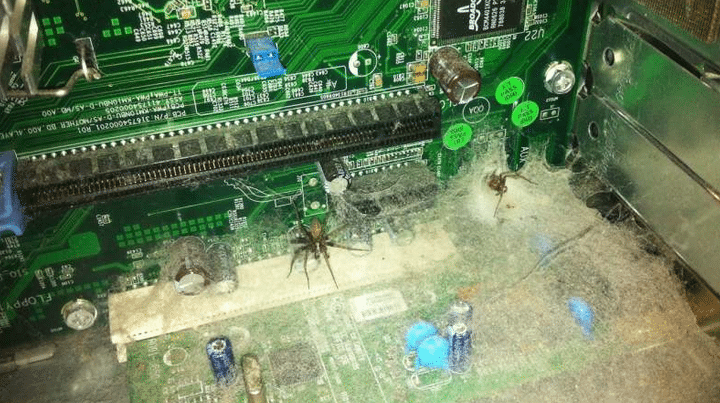 Can you imagine their frustration when their new CPU wasn't working - or even worse - when they damaged the CPU or the motherboard? Since then, Intel decided to change the pin number on almost every generation, to prevent people from thinking their boards are compatible. That's why they moved from LGA 1150 to LGA 1151. Not because they needed one more pin, but rather because the CPUs wouldn't be compatible no matter the case. Why can't they make newer generations compatible with older sockets? Newer and better features come at a price. The power delivery system on more modern CPUs might be completely different from a previous generation. VRM and other changes also require a socket logic change. New sockets also accomplish several enhancements, such as increasing the number of PCI-e lanes or upgrading the memory interface (e.g., from DDR3 to DDR4). 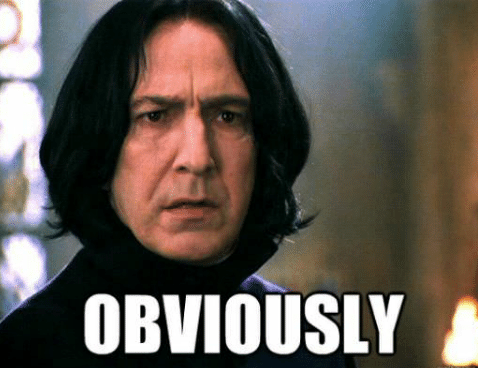 But what is more critical, backward compatibility, or better features, speed, and power efficiency? AMD uses pins on their processors, which means that their sockets have holes. And how many new sockets did AMD release since 2003? Eight sockets, although some of them are compatible with previous models. In general, AMD has a different policy regarding their socket compatibility. Thus, we can't compare it with an Intel motherboard the way most people do. We should also take into consideration that AMD hasn't released any new CPUs for their previous socket, which practically rendered it dead for years. 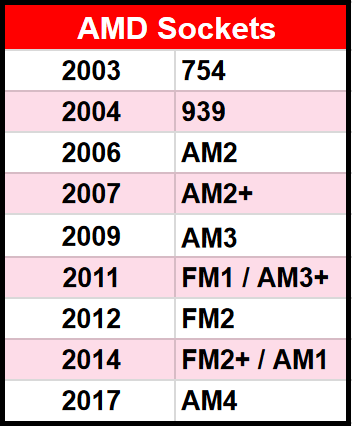 The fact that AM3+ came to market in 2011, and AM4 came last year, doesn't mean that those AM3+ was updated these six years. This is probably the reason most people get confused and tend to think that Intel changes sockets far too often compared to AMD. Now, each socket has a chipset. The chipset is responsible for helping the CPU communicate with the rest of our hardware. 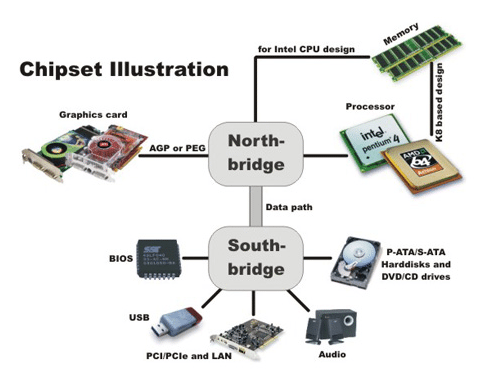 In other words, the chipset manages the data flow and defines the types of connections between the CPU and peripherals. However, in most cases, the new CPUs can be installed on older chipsets, as long as they have the same socket. All we have to do was a BIOS update. Let's take the Ryzen CPUs as an example. 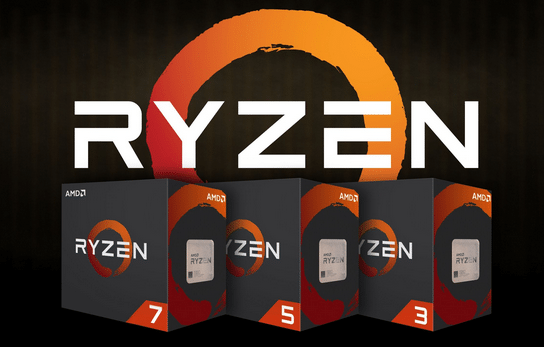 AMD released the 300-series chipset with the first Ryzen CPUs and a new 400-series chipset for the Ryzen+ refresh. The 300-series boards need a BIOS update to support the new CPUs, but they are compatible. The 400-series chipset supports the first generation as well. AMD also promised that they would support the AM4 socket with new CPUs until 2020. That means we will probably see more chipsets for the AM4 socket in the future; one for each new CPU generation, but they will all be compatible with previews generations. That was the case with Intel's CPUs until recently. For example, there's the 100-series chipset for the LGA 1151 that came out in 2015 with the Skylake processors. Next year we saw the Kaby Lake generation, along with the 200-series chipset. However, we could install Kaby Lake processors on a 100-series Intel motherboard, and vice versa. The same goes for previous generations. Things changed with the latest Coffee Lake processors and the 300-series chipset. Although Coffee Lake CPUs use the same socket as the previous Skylake and Kaby Lake, they only work on the newest 300-series Intel chipsets. That caused a lot of frustration to the end users. It's a common complaint among users that Intel sockets change far too often. These people believe that Intel wants to force us into changing our motherboard. That way they earn more money, right? 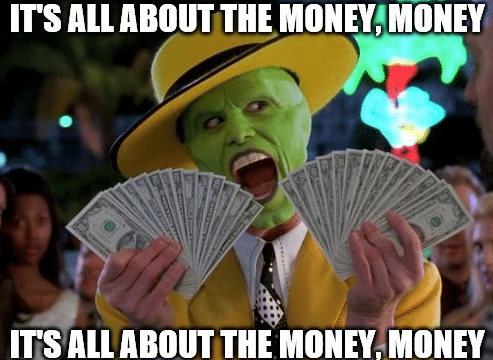 These people also feel that AMD doesn't care about money; they care about us. 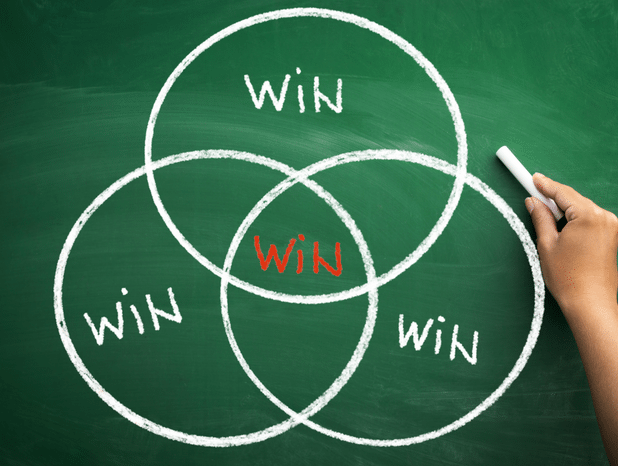 Isn't it obvious that each company will try to maximize their sales and their profit? Nobody cares about the end user, but let's be fair here. We need to answer two critical questions. When it comes to our pocket, how does Intel's policy of changing the socket every two or three years affects us? First of all, let's face it. LGA 1151 is a three-year-old socket. It's only reasonable that it won't be able to support future technologies, it's about time to let it go. The thing, though, with every new CPU generation nowadays, is that the performance improvement over the previous generation is so small, that it's not worth to upgrade in one, two, or even three and four years. Let's take for example the best CPU you can buy for LGA 1150, the i7 4790K. Until today, that CPU is fully capable of handling every task; whether it's gaming, rendering, streaming, you name it. Compared to the i7 7700K that was released last year, the i7 4790K, even though it is three generations behind, has nothing to worry about. We can go even further back though; the i7 3770K or the i7 2700K for the LGA 1155 are even older, but still capable of covering a user's needs. 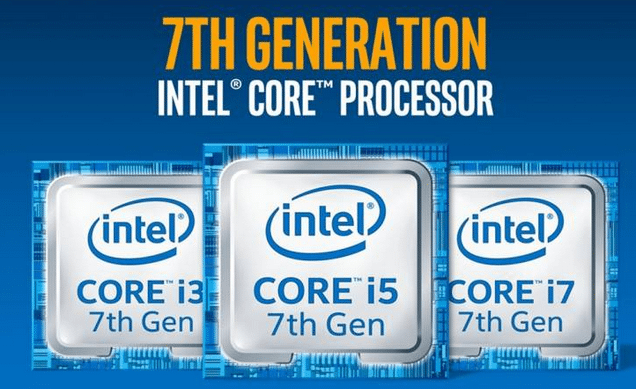 Some may say that people won't upgrade these processors, not because they are still good, but because their Intel motherboard won't support the next generations. But is that really the case? If someone got AMD's Ryzen 1800X the previous year, would he switch to the 2700X? 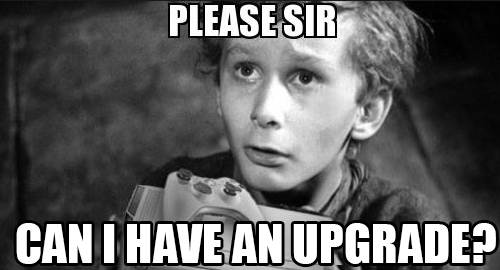 An upgrade like that would be useless. The difference in performance is negligible compared to the money needed for this upgrade. For someone that wants always to have the latest generation, it's almost certain that he will also upgrade the motherboard anyway. On the other hand, if we're going to spend our money more efficiently, we won't upgrade on the next generation. Not even in two or three generations. Thus, waiting four or five years to upgrade means that we will have to change the motherboard too when the time comes. 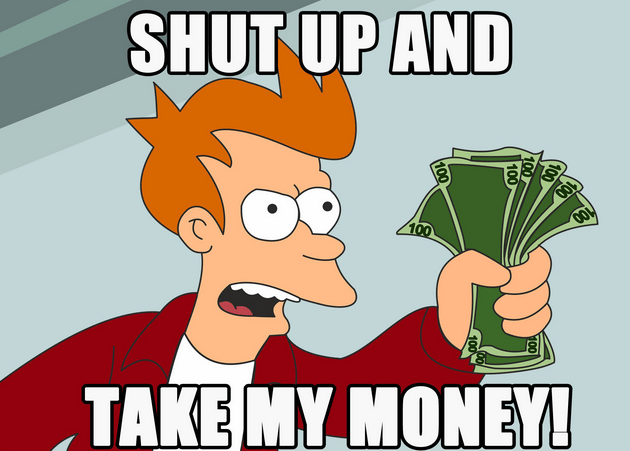 In five years we will probably have DDR5 RAMs, faster USB, HDMI, SATA ports, and so on. So, we come to the second question. 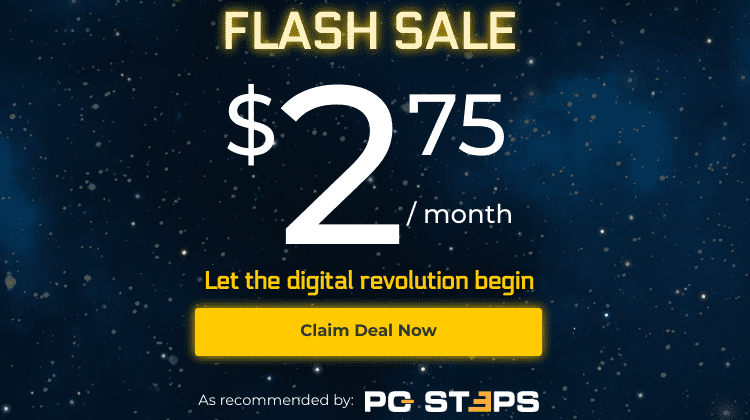 Is it essential to be able to upgrade our processor without buying a new motherboard? All the situations mentioned above had to do with high-end processors and maximum performance. What about a low-end processor though? If you bought one a couple of years ago, you now might want to upgrade to a better CPU. In such a case, it would be useful if your motherboard supported the latest generations. However, there's still something we should take into consideration. 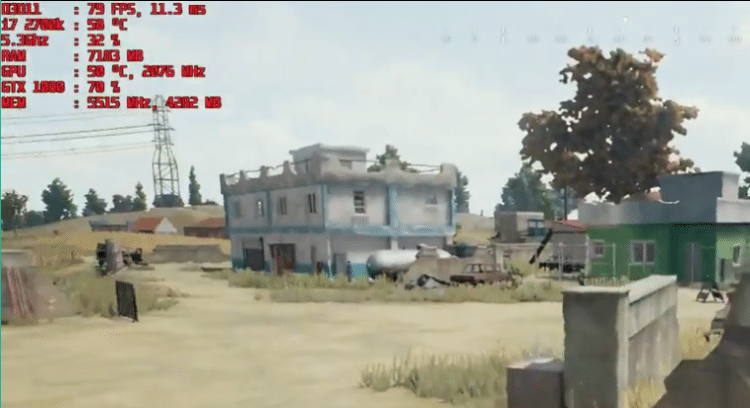 If such a user had spent his budget correctly when he bought the low-end CPU, he would also buy a cheap motherboard with bad VRM cooling, no overclock features, maybe with only two RAM slots, and so on. That means he has to upgrade the motherboard after all if he wants to buy a high-end processor. On the contrary, if he bought an expensive motherboard from the beginning, the money he spent on it was useless these two or three years. He didn't have better performance regarding his setup; he would probably have a better computer overall, had he spent the budget on a different part. Actually, if he had bought a better processor with that money from the beginning, he might not need an upgrade right now. 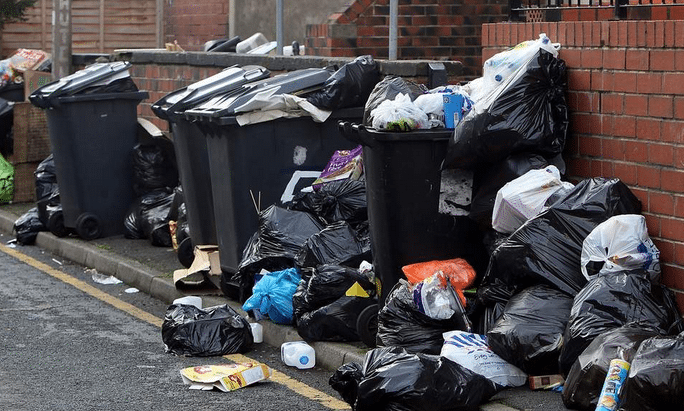 Taking all these into consideration, we come up to the following conclusion; before we buy a computer, we should choose the hardware that best suits our needs; we should spend the budget based on the tasks we do now - not in three years. Doing that, when the time comes that our processor can't handle our tasks anymore, the new technologies that will come along will force us to change the board as well, whether it's an Intel motherboard or AMD. Are you mad at Intel for changing socket so often? Do you believe that AMD's policy is better for the end user? Feel free to leave a comment below. 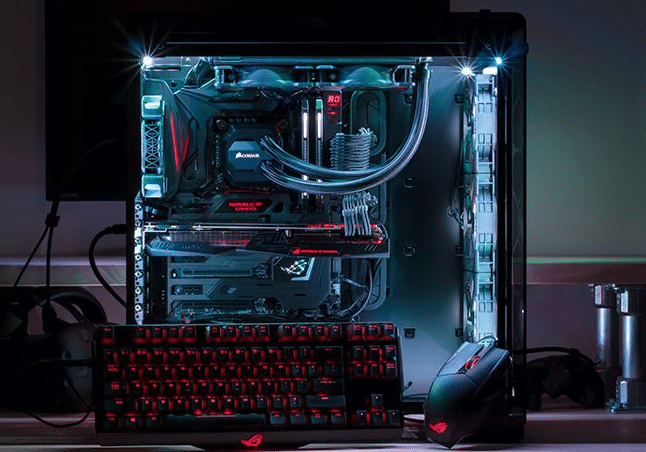 If you have trouble choosing hardware for your next computer, you can tell us your budget, the equipment you already own, and the programs you use so that we can help you out.